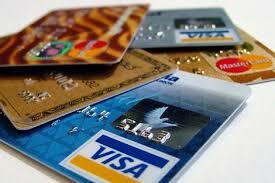 According to theFTC, Credit Card Fraud affects over7 million people annually. A Buffalo Area Credit Card Fraud Lawyer can explain that these charges are usually prosecuted. As the use of computers increased in the recent past, these crimes are more prevalent than ever. The District Attorney is aware of this, and aggressively prosecutes these crimes. It is important to speak with a Buffalo Area Criminal Fraud Lawyer for guidance. The crime of Credit Card Fraud includes a variety of crimes that involve the fraudulent use or theft of a credit card. This offense usually occurs when someone else’s card is used to make a purchase. This crime is closely linked to Computer Fraud, because often the use of the internet is usually involved. Credit Card Fraud can also be linked to Mail Fraud and Bank Fraud. You do not have to be physically in possession of the credit card to be charged with Credit Card Fraud. The use of the credit card information is enough to commit this crime, over one-half of all online Credit Card Fraud is committed by only using the numbers. The penalties if you are convicted of this crime can include prison time that ranges from 10-20 years, and financial retribution. Speak with a qualified Buffalo Area Criminal Lawyer from the Law Offices of J John Sebastian for guidance. We will explain the charges against you and answer the many questions you likely have. We will provide you with a free consultation with your first visit.